and let writing be easier! Einstein was a genius—and not just because he developed the general theory of relativity. He was a genius because he knew how to use his imagination. He was a genius because he valued his imagination highly. Wow. He even said it’s “everything.” You may think he was being rash, or overstating the case, but he’s the genius among us. If someone of Einstein’s caliber says imagination is everything, it’s probably a good idea to look into what he’s saying. Not to prove that his statement is infallible, but to milk it for the benefits that have the power to change your own life. Stop for a moment and think . . .
Do you value your imagination highly? Do you ever consciously think about how to include your imagination in your writing process? Do you understand how to make the powers of the imagination work for you? Chances are you don’t. And you’re not alone. Usually the people who are suffering about their writing are thinking what I call “Achiever Thoughts.” These are the thoughts that create all the fear. These thoughts are nearly always a version of “What Will People Think?” These thoughts are about failure and getting it wrong. Let’s contrast that with the qualities of the Imagination. Everything on the Qualities of the Imagination list felt kosher until you got to the last item, right? Clearly one of those cases of “sounds right, feels wrong.” But why? Thousands of writers have used their imagination to write stories or novels that became best-sellers that got made into movies. So, why does that last item on the list feel wrong? You probably had many personal reactions to these two lists, but one that we can all agree on is this: for the most part, the qualities of the Imagination and the Achiever are polar opposites. And, yet, in order to put a piece of writing through all the stages it will need to reach completion, they need each other. Your Imagination and your Achiever need each other. Okay, so you’ve heard that a million times before, just in different words. So what’s the news here? What is it you’ve overlooked? After all, you’ve used your imagination lots of times before. Perhaps you’ve already used your imagination to write some stories or a book. It’s not like you don’t know what to do. But maybe your driving skills are the real issue. This model pretty much explains itself. But why did I say “conscious” passenger? The backseat driver, in this case, is you trying to control things when you should be letting your imagination do the driving. Backseat drivers are annoying at best, distracting or disabling at worst. They’re like having a controlling mother-in-law or living with a neat freak. In the entertainment world, they’re the stuff of comedy routines. But trying to control your Imagination when it could be working in your favor is much worse—and certainly not funny when it’s happening to you. It’s actually an abuse of your own power. Your Imagination is tremendously powerful. Let the power of the Imagination work for you and you’ll be a happier writer who gets more words written. Block it with fear and anxiety and doing what the world tells you to do to be successful and you’ll be in writer’s hell. 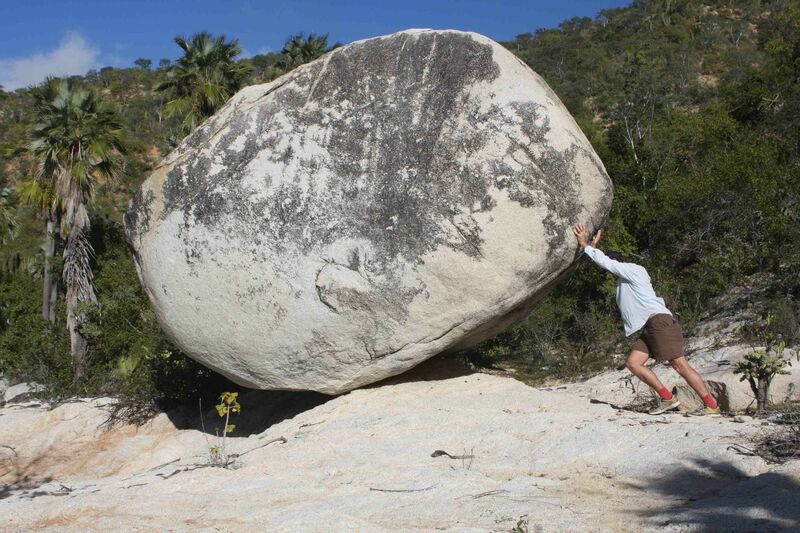 Imagine an ant trying to lift a boulder. Naturally, the ant gets crushed under the massive weight. It either loses all hope or gets killed off, never to lift another boulder. Along comes Goliath and makes that boulder look like child’s play. You can be the ant or you can let Goliath lift the boulder for you. That’s what the power of the Imagination can do for you if you will only let it. Something you were trying to make into Hard Work, Suffering & Failure can be made much easier by allowing your Imagination to play its intended role. But only if you consciously allow it. Sure, occasionally you can stumble on a pocket of Imagination and let it rip. But those times have been too rare (am I right?) and can’t be relied upon. However, a simple understanding of how to allow your Imagination to give you the riches it holds in store for you will be a huge step forward in learning to properly and effectively use the power that is yours. So, where can you get this knowledge? The best way to learn anything is by doing it. That’s why my work with writers for the past 18 years has been based on the practical. Personally, I hate those types of writing seminars where Someone With Credentials gets up in front of a group of writers and yaks on and on about some fine point of writing. That same time could be spent actually writing something. I specialize in helping you write more words than you’ve probably ever written before. And enjoy it more, too! If you’d like to know more you can schedule a 1-hour free consultation with me using the button below. These consultations are not only free of charge, they’re free of pressure and obligation. Maybe only some fear and a chunk of writer’s block.